The Secretary-General of the Union of Arab Banks, Wissam Fattouh, Thursday, that the granting of the Governor of the Central Bank of Iraq Ali Alalak, the best central bank portfolios in the Arab world for the year 2018 due to experience pilot, adding that the relationship succeeded in fighting inflation and achieving economic balance in Iraq . 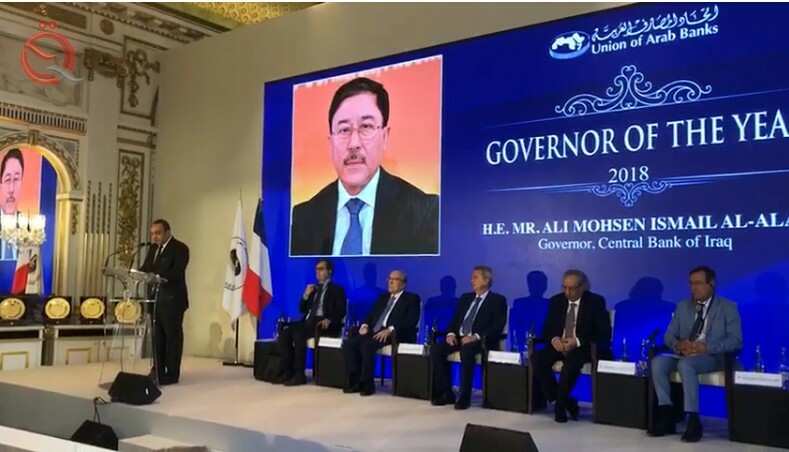 Fattouh said during the honoring of the Governor of the Central Bank of Iraq as the best governor in the Arab world for the year 2018 on the sidelines of the Arab Banking Summit International, and attended by the "economy News", "The relations succeeded in fighting inflation and managed to achieve economic balance and combating money laundering and financing of terrorism in the country" "Pointing out that" the Governor of the Central Bank awarded the Medal of the Arab historian formed during the circumstances experienced by the beloved Iraqna pilot experience as an engineer and coordinator of the program of economic reform and the driving force for the reform of the drainage system, which contributed to pivotal in putting the Iraqi economy on a sustainable path and restore Iraqi confidence Yen and investors . " He added that "the Iraqi and Arab banking culture condemns you in the start and march, and the status and perception of the continuation, because you knew the origins and knew its usefulness and well presented and explored the distance in the mirror of your mind ." He concluded his speech by saying "We ask God to provide you with longevity and more progress and giving and extend our warmest congratulations to Your Excellency, the banking sector in Iraq, the Central Bank and all our Arab banks ."